The Broad Institute of MIT and Harvard today withstood a closely-watched challenge to its CRISPR-Cas9 patents as the U.S. Court of Appeals for the Federal Circuit (CAFC) sided with the Broad over the University of California (UC), the University of Vienna, and Emmanuelle Charpentier, Ph.D., of the of the Max Planck Institute for Infection Biology in the bitter battle royal in the bitter battle royal over who invented the gene-editing technology. The CAFC upheld a unanimous finding last year by a three-judge panel of the Patent Trial and Appeal Board (PTAB) that there was “no interference in fact” between 12 patents related to CRISPR technology that list as inventor Feng Zhang, Ph.D., of the Broad, and a patent application by Jennifer Doudna, Ph.D., of UC Berkeley, and Dr. Charpentier. The Doudna/Charpentier application stated claims covering the use of CRISPR in a bacterial system, while the Broad's patents focus on the use of CRISPR in eukaryotic systems, such as plants and higher animals. UC Berkeley, Doudna, and Charpentier challenged the Broad patents, contending that the application of CRISPR to eukaryotic systems represented an obvious rather than an inventive invention, and was thus nonpatentable. The Broad has defended its patents. The court noted that an obviousness determination would require finding that a person of ordinary skill in the art would have been motivated to combine or modify the teachings in the prior art, and would have had a reasonable expectation of success in doing so. Using the standard of “substantial evidence,” the PTAB found a person of ordinary skill in the art would not have had a reasonable expectation of success in applying the CRISPR-Cas9 system in eukaryotic cells. “The (PTAB) Board’s underlying factual findings are supported by substantial evidence and the Board did not err in concluding that Broad’s claims would not have been obvious over UC’s claims,” a three-judge panel of the CAFC including Chief Circuit Judge Sharon Prost stated in its 19-page decision, written by Circuit Judge Kimberly A. Moore. While the CAFC decision can be appealed for rehearing to the appeals court, or appealed to the U.S. Supreme Court, it is unknown whether the high court would accept the case: “Because I don't think this case presents any novel *legal* issues, I don't think either is going to happen,” Jacob Sherkow, an academic law professor at the New York Law School, stated on Twitter. Absent overturning by the Supreme Court, the CAFC decision ends the legal challenge to the Broad’s CRISPR patents in the U.S.
UC responded to the CAFC decision with a statement saying that it is “evaluating further litigation options. “We also look forward to proving that Drs. Doudna and Charpentier first invented usage in plant and animal cells–a fact that is already widely recognized by the global scientific community–as the Doudna-Charpentier team’s several pending patent applications that cover use of CRISPR-Cas9 in plant and animal cells are now under examination by the patent office,” UC stated. 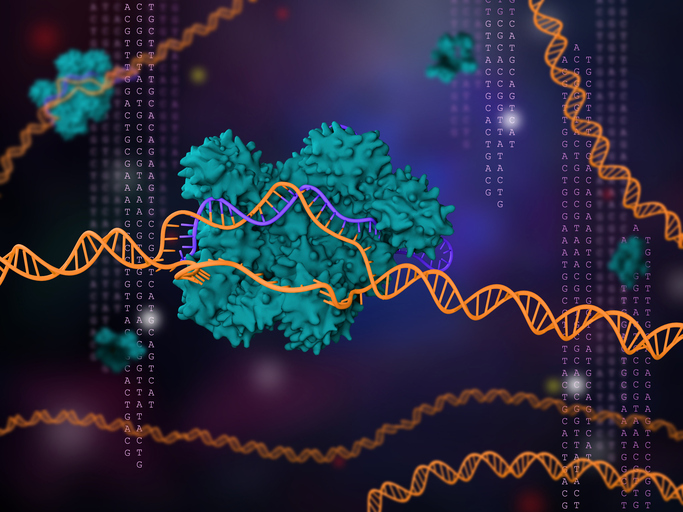 In June, UC, the University of Vienna, and Dr. Charpentier were granted a U.S. patent for intellectual property related to CRISPR-Cas9 genome-editing technology. “We are gratified that our dominant applications for the groundbreaking invention of the use of CRISPR-Cas9 in all environments, including plant and animal cells, will continue to issue as patents, adding to the patents recently granted in the United States and other countries around the world for this work,” UC added. The “substantial” evidence, according to the CAFC, included statements by the UC inventors acknowledging doubts and frustrations about engineering CRISPR-Cas9 systems to function in eukaryotic cells and noting the significance of Broad’s success. The substantial evidence cited by the CAFC also included testimony from Paul Simons, Ph.D., Reader in Experimental Genetics and Molecular Medicine at University College London, about differences between prokaryotic systems and eukaryotic systems that rendered the application of the CRISPR-Cas9 system in eukaryotic cells unpredictable. Differences in cellular conditions can cause differences in folding of the Cas9 protein, Simons testified, adding that the functionality of CRISPR-Cas9 in eukaryotes was unpredictable based on factors that included intracellular temperature, the concentration of various ions, pH, and the presence of other molecules that may be present in one type of cell, but not the other: “He explained that folding is particularly important for the CRISPR-Cas9 system because of the conformational changes the Cas9 protein undergoes in performing its function,” the appellate court summarized. UC contended that substantial evidence supported its view that a person of ordinary skill would have had a reasonable expectation of success in implementing CRISPR-Cas9 in eukaryotes. “There is certainly evidence in the record that could support this position,” CAFC acknowledged—such as numerous techniques found in prior art that were used for adapting prokaryotic systems for use in eukaryotic cells, and the surmounting of obstacles adopting other prokaryotic systems—techniques that UC’s expert witness Dana Carroll, Ph.D., of University of Utah School of Medicine, suggested could be used to implement CRISPR-Cas9 in eukaryotes.